We washed the walls, painted it twice with normal wall paint..
but the smell did not go away. 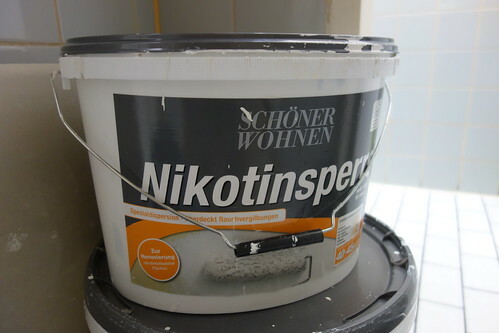 so we bought the expensive “anti-nicotine” paint and painted all the walls. it improved the smell situation much better, but still it smells. We are guessing it is also in the ceilings and floors which we can not replace. Now we are trying the “candle method” our friend told us.